The Lenovo Phab 2 Plus is a little more advanced version of the Lenovo Phab 2. This 6.4 inch sized display phone comes with a 13 mega-pixel camera with dual LED flash, 8 Mega-pixel back camera, laser auto-focus, panorama and HDR. Lenovo Phab 2 Plus also possess a 1.3GHz processor for very smooth performance, Android 6.0 Marshmallow OS, finger print sensor, 4060mAh non-removable battery and Gyroscope. Regarding storage capacity, Lenovo Phab 2 Plus features a 3GB RAM, 32 GB built-in storage. 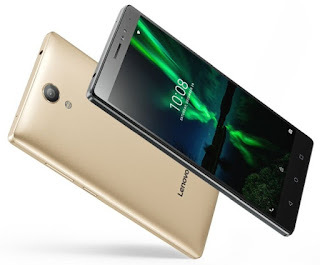 The Lenovo Phab 2 Plus is not yet available in Nigeria but the price is expected to range from 90,000 to 145,000 NGN. A latest report on Mashable confirms that the Lenovo Phab 2 Plus has been launched in India. See the complete Specs and Price below.